Australia, 18 November 2015: Sydney headquartered, work-life, diversity and inclusion solutions provider, SeventeenHundred, has teamed up with UK-based, My Family Care, the largest provider of work+family solutions, backup care and family support services in Europe, to assist employees in managing their work-life commitments. The new partnership will provide a consistent employee benefit and work-life approach to the almost 400,000 workers currently supported by the two providers across Australia, New Zealand, United Kingdom and Europe, as well as further global regions where My Family Care is active, such as the US and Asia-Pac. A particularly strong feature of the new partnership is the global, yet local, provision of parental leave and parental coaching services, which have been tried and tested with thousands of working parents and their managers in the UK, and will now be rolled out through local experts in Australia and New Zealand. · Backup care – acts as a “safety net” for employees who care for children, adults or elderly loved ones by providing temporary care when regular caregiving arrangements are unavailable. Together, the two providers boast an impressive list of clients including Virgin, Shell, Pfizer, IBM, Energy Australia and KPMG. SeventeenHundred provides work-life, diversity and inclusion solutions that support organisations and their employees.SeventeenHundred provides services that help people balance work commitments and external responsibilities, with the aim of making life easier. My Family Care provides learning and development and practical solutions that enable employees to manage their family care responsibilities with their work commitments and develop the personal and professional skills to keep their career on track as working parents. Services include the Work+Family Space platform, coaching and development solutions, emergency childcare, emergency homecare (for elders) and out of school care (for school holidays). Australia, 16 November, 2015: Co-working community and startup hub, River City Labs, today announced its imminent plans to double in size within the next, six months. As part of its expansion plans, River City Labs is planning to locate itself in the redeveloped, Heritage Listed TCB Building in the heart of Fortitude Valley, to provide residents with twice the size of the current, co-working space, as well as ample room for partners and potential tenants to collaborate. 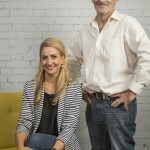 General Manager of River City Labs, Peta Ellis, said: “River City Labs has grown substantially over the last three years and continues to be a key driver in the Brisbane startup ecosystem. We love working in the Valley, and are excited at the prospect of setting up in the redeveloped TCB Building and continuing to expand our offering and collaboration with key partners in the sector. 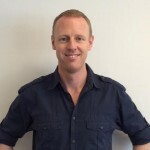 “There are countless numbers of established companies that have set up here – Orange Digital, Technology One, Uber, Tanda, Tappr, CTO for QLD Health, TrekTraka, Defiant Games, Cohort Solutions, CloudMGR, AECO and Black Sheep Capital – and there is a huge benefit to this concentration of startup activity, where essentially, River City Labs plays a vital, supporting role,” Ms Ellis added. Founder of River City Labs, Steve Baxter, said: “This potential move to TCB is the natural, next step for River City Labs to take. This initial aim to double in size is just the beginning – there is up to 10,500m of space available if we move into this new location, and there is absolutely nothing to say that we won’t in time come to occupy all of it! River City Labs is Brisbane’s premier co-working community and central clubhouse for tech startups. 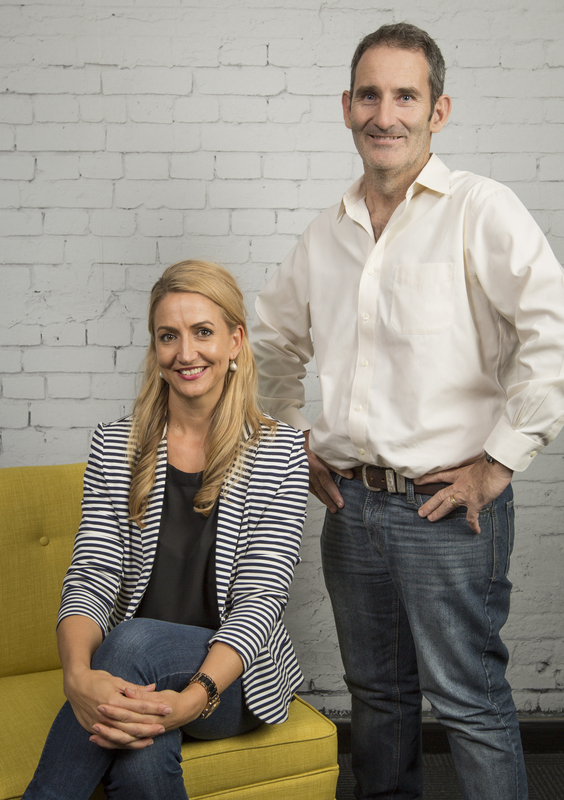 They are a not-for-profit organisation aimed at fostering Queensland’s startup ecosystem. Current membership sits at over 100 members ranging from early stage startups and founders to established startups and entrepreneurs who have successfully raised capital in the last 18 months. River City Labs focuses on providing the right environment for entrepreneurs to make valuable contacts while learning from peers, mentors and industry experts helping them to connect, work and grow. Australia: October 28, 2015: StartupAUS, the national peak body transforming Australia through technology entrepreneurship, has welcomed the Labor Party’s Girls into Code initiative, which would see a $4.5 million grants program supporting organisations that promote, encourage and inspire girls into learning code if they win the next election. Announced today, Girls into Code is the latest policy announcement by the Opposition as part of a suite of measures it proposes to implement to position Australia as a leading knowledge economy. Last month Labor announced a policy proposing a Startup Year at university, aimed at assisting young Australians who are looking to start their own enterprise. CEO of StartupAUS, Peter Bradd, said Labor’s latest initiative was very welcome as a way of addressing the underrepresentation of women in the technology and innovation sector in Australia. “As outlined in our Crossroads 2015 report, it is estimated that an additional 35,000 ICT professionals will be needed over the next three years, which is three times the projected number of domestic ICT graduates from Australian universities over that period. Further to this, Australia has a chronic shortage of women graduating with computer science or coding skills. Since 2001, the rate of women enrolling in an IT degree has fallen from about one in four to just one in ten. “StartupAUS is focused on addressing two core areas if we are to create a strong digital economy of the future – that is talent and capital. “Anecdotally there’s a large number of entrepreneurs in Australia with viable business ideas but with no capacity to implement them in software. Whilst they can succeed by outsourcing the technical skills required, they do face great challenges compared to entrepreneurs with coding skills who can build the first iterations of their product at zero cost. Therefore, Labor’s policy will not only spur a more skilled workforce but a more gender diverse one. “StartupAUS believes improving rates of participation by women in technology jobs, starts by capturing girls’ interest from an early age, having great role models and clearly depicting the diverse career paths that provide plentiful opportunities for girls. “StartupAUS is looking forward to continuing its working relationship with all major parties and is excited to be part this new era of thinking. The focused initiatives by Labor highlight some great policies and programs to help transform Australia into an innovation hub. It is through the creation of a thriving, diverse tech and innovation hub, that we can begin to compete on a global scale and attract and retain innovation talent,” Mr Bradd said. Australia, October 30, 2015: The ACS – the professional association for Australia’s ICT sector – has today welcomed the latest report by the Office of the Chief Scientist that suggests more must be done to encourage greater entrepreneurship in Australia. The report has found that producing and training entrepreneurs is not seen as a priority for most Australian universities. ACS President, Brenda Aynsley OAM, said the report is timely and agrees the next step is for the government and the university sector to work together with industry and the ICT profession to help bring about a transformation. “Going forward, we know that high-growth, technology-based businesses will be the driving force behind Australia’s economy. A report by PwC predicted technology based startups are worth over $US109 billion to the Australian economy and have the potential to create 540,000 jobs by 2033. “We need look no further than the Government’s own data for recent, compelling evidence that entrepreneurialism is the driver of our future economy – a very small fraction (three per cent) of start-ups drive the majority (77 per cent) of their post-entry job creation in Australia. “Several universities have introduced promising initiatives, for example UTS. The University is crossing the traditional boundaries of knowledge by harnessing new technologies such as their newly launched Data Arena, which allows researchers to discover new insights into big data. “However, there are still many universities with programs that are too small, do not encourage or engage students in STEM disciplines, and do not reflect international best practice – this is ultimately compounded by limited engagement between universities, government and industry. “The ACS supports the recommendation that there needs to be stronger engagement between universities and the technology startup ecosystem. We share the Chief Scientists concerns about the significant fall in enrolments in tertiary ICT degrees which has occurred over the last decade in Australia. This at a time when there is a shortfall in suitably qualified ICT professionals and the demand for these skills is expected to grow in Australia by 100,000 between now and 2020. “We look forward to working collaboratively with the Australian university sector, the government and other industry bodies to make the connection between the higher education systems and their role in spurring innovation and entrepreneurialism. “We would also like to acknowledge the work of Professor Ian Chubb AC and the significant contribution he has made to public policy debate in this country. Professor Chubb has been a loud, influential and effective voice on the critical importance of STEM skills if Australia is to remain a high wealth country in the digital age. At the same time, we also congratulate and welcome Dr Alan Finkel AO to the Chief Scientist role, and look forward to working with him to encourage greater innovation and entrepreneurship in this great nation,” Ms Aynsley said. Australia, 28 October 2015: The ACS – the professional association for Australia’s ICT sector – has welcomed the Labor Party’s plan for a $4.5 million grants program to support organisations that promote, encourage and inspire girls to learn code, which was announced today. ACS President, Brenda Aynsley OAM, said Labor’s grants of up to $150,000 would make a significant contribution to encouraging more young girls to study computer science and other technology based courses. “Organisations like Code Club Australia, Code Like a Girl, Robogals, Code Camp, Tech Girls Movement and CoderDojo do great work. It’s wonderful to see the Labor Party recognise and support their efforts so that they can scale up their activities across the country and boost girls’ participation in technology. “All the research suggests that by the time girls reach 15 many of them have either dismissed or not even considered the option of a career in ICT. One of the key reasons is the lack of opportunity to engage in computing science, either through the curriculum or through extra curricula activities. Feedback from groups such as Code Club and others suggests that once girls are given the opportunity to do coding they generally have a strong aptitude for it and excel. “Australia has a chronic shortage of women graduating with computer science or coding skills. In fact, since 2001, the rate of women enrolling in an IT degree has fallen from about one in four to just one in ten. By 2020, Australia will need an extra 100,000 workers if it is to keep pace with rising demand for ICT skills. Only 28% of the IT workforce is comprised of women So it is essential on both skills grounds and from the diversity argument that the participation of women in ICT is increased. “Therefore, it’s critical to capture the interest of girls as early as possible, by teaching coding and computational thinking in every primary and secondary school in Australia. “A very important, even vital aspect of this latest Labor policy is to upskill 25,000 Australian teachers to ensure they are well versed in the latest ICT teaching techniques. This is strongly supported by ACS and has been for many years. Having inspiring ICT teachers educating our future generations will help our young people, and particularly our young women, see the exciting opportunities that exist for ICT professionals in every sector of the economy. “Without a significant increase in the number of women studying ICT and technology based courses, Australia runs the risk that it will not have the skills base to fully capture the significant opportunities and benefits being created by digital technologies. Sydney, 5 November 2015: The leading national organisation supporting the estimated five million adult survivors of child abuse and trauma in Australia, Adults Surviving Child Abuse (ASCA), has welcomed the news that the governments of New South Wales and Victoria will support the Royal Commission into Institutional Responses to Child Sexual Abuse’s recommendation that they adopt a single, national redress scheme. This news comes to light as ASCA’s Professional Support Line released its 2015 data from 5000 callers over the last 12 months, which found that the ages at which childhood trauma including all forms of child abuse most commonly occurred was between 6-15 years of age (26 per cent), with 62 per cent of respondents reporting that trauma and abuse occurred over multiple ages. ASCA’s Professional Support Line data complements the Royal Commission’s research, which revealed that the average age of abuse occurring was 10 years of age for males, and nine years of age for females. The most common decade in which abuse occurred was the 1960s (28 per cent) closely followed by the 1970s (23 per cent). Commenting on today’s news, President of ASCA, Dr Cathy Kezelman AM, said the support of a national redress scheme by the New South Wales and Victorian governments was incredibly pleasing and a step in the right direction to an equitable and just response. “We are thrilled that two state governments support the national redress scheme. From extensive research we know that a national redress is the most effective way forward to ensure survivors of childhood abuse get the justice, help and support they have long deserved,” Dr. Kezelman said. “We now urge the Turnbull government to show leadership, and work with each and every state and territory to commit to the national redress scheme before it is too late. The costs involved are significant, although far less than those of inaction. “From our data we know that institutional abuse is one facet of a much wider societal problem. ASCA’s research shows that 68 per cent of childhood abuse occurs within the home, followed by abuse within institutions (nine per cent), and in care (seven per cent). “We congratulate the The Royal Commission into Institutional Child Sexual Abuse. The work of the commission has instrumental in ensuring that a national redress scheme is being supported. We wholeheartedly believe that in order to provide the right support to adults, who as children experienced trauma and abuse not just in institutions but also in the home, family and neighbourhood, that this scheme is the most effective option. “We can’t let the spotlight move away from this issue – we must continue to advocate for greater awareness as well as a national coordinated trauma-informed response. “Though both sets of data shed a light on the harsh reality of child abuse and its prevalence in our society, we want to provide survivors with a message of hope – to let them know that recovery is possible and that it is important to reach out and seek help, which comes in many forms. “It is also important to gain support from family, friends, co-workers and health care services with expertise in supporting survivors, as they are part of the journey to recovery – survivors must know they are not alone,” Dr Kezelman said. Help and support is available from the ASCA professional support line on 1300 657 380, 9am- 5pm Monday-Sunday. ASCA is the leading national organisation supporting the estimated five million Australian adults who are survivors of childhood trauma, including abuse, their families and communities. ASCA provides hope, optimism and pathways to recovery for those affected. At the forefront of pioneering trauma informed policy, practice and research, ASCA has been instrumental in supporting the work of the Royal Commission into Institutional Responses to Child Sexual Abuse and people engaging with it. This includes the training of key workers and practitioners. In 2012 ASCA released Practice Guidelines for Treatment of Complex Trauma and Trauma Informed Care and Service Delivery, a global first in setting the standards for clinical and organisational practice. In 2015 ASCA released an Economic Report, The Cost of Unresolved Childhood Trauma and Abuse in Adults in Australia, leading the conversation around the economic imperative of providing the right services for adult survivors. 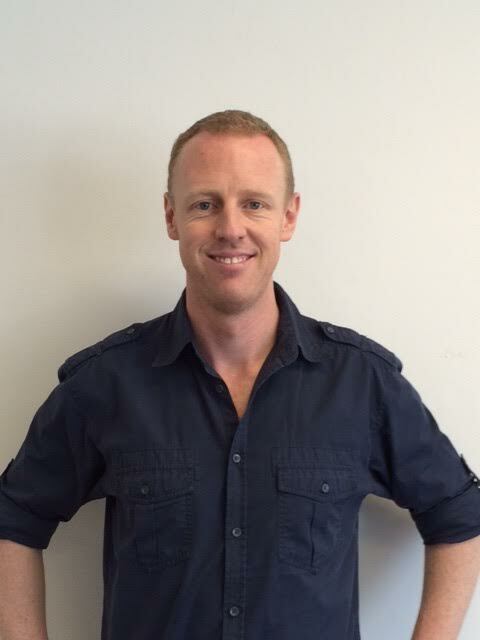 Formed in 1995, ASCA provides a range of services including professional phone support with trauma informed counsellors, a referral database, resources, advocacy, research, educational workshops for survivors and family members, partners and loved ones, along with training, professional development and other services for workers, organisations and professionals, including those from health and legal sectors. 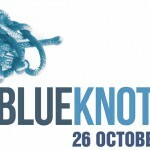 Australia, Monday October 26, 2015: Today is Blue Knot Day, the national awareness day of Adults Surviving Child Abuse (ASCA), that aims to raise awareness for the estimated five million adult survivors of childhood trauma and abuse. In recognition of the day, ASCA has released new research from its 1300 professional support line, which revealed that survivors aged between 40-69, and more specifically 50-59, are the most common age group to seek support for past abuse (70 per cent and 27 per cent, respectively). When comparing the data of last year’s reporting period (September 2013-2014), the majority of callers were in the 40 – 49 year old age range (30 per cent). However this year there was a reported six per cent drop to 24 per cent. This reporting period saw a 10 per cent increase in those calling in the 50-59 age group making this age bracket the most likely to seek support. The Royal Commission into Institutional Responses to Child Sexual Abuse’s interim report established that it takes on average 22 years for people to disclose[i]. However ASCA’s latest data revealed it often takes longer to seek help, with 19 per cent of people in the 60-69 year age group and six per cent in the 70-79 ear age group calling the professional support line for the first time. In reporting impacts from abuse, 87 per cent reported mental health impacts and 37 per cent physical health impacts. Over half (52 per cent) reported impacts on relationships with their immediate family, 37 per cent on their partner, 17 per cent on their parenting abilities and 23 per cent on extended family. Further to this, 73 per cent of callers reported multiple impacts, and given the majority of callers make only one call to the line, ASCA considers this an underestimate. The data also revealed the reporting of negative impacts to employment as a consequence of abuse more than doubled compared to last year’s study – from 12 per cent to 29 per cent of users who reported any impact from abuse. These impacts further validate the findings from ASCA’s Economic Report, released in early 2015, which estimated that by a conservative estimate, the cost of failing to provide the right pathways for recovery for Australian adult survivors of childhood trauma is $9.8 billion annually. President of Adults Surviving Child Abuse, Dr Cathy Kezelman AM, said this year’s findings, in regards to the age of callers, attested to the need for urgent action. “Many of the older callers report never telling a soul about their abuse but how it has affected their whole life. You just need to look at the impacts on people’s lives we have reported to begin to appreciate the lifetime burden of which many survivors speak. As a community we need to bring hope and very real possibilities for recovery as. We urge the Turnbull government to show leadership, and working with the States and Territories to commit to the national redress scheme before it is too late. The costs involved are significant, although far less than those of inaction,” Dr Kezelman said. His Excellency General The Honourable David Hurley AC DSC (Ret’d) and Mrs Linda Hurley graciously offered Government House Sydney for this year’s, ASCA official Blue Knot Day launch event. This evening (26th October), the Reception will be hosted by His Excellency The Honourable TF Bathurst AC, Lieutenant-Governor of New South Wales and Mrs Bathurst. ASCA President Dr Cathy Kezelman AM will announce Australian media personality, Jane Caro as a new ASCA Ambassador. 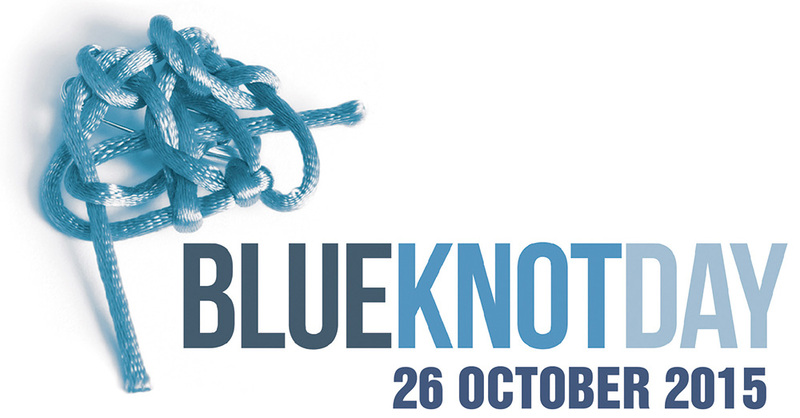 This year’s Blue Knot Day highlights how instrumental groups and communities are in helping survivors to recover. ASCA is urging Australians to get involved by wearing blue and hosting their own event in support of the day.